Thank you so much on joining with me as we celebrate the day that was specially dedicated for us. It's been two years since I become a mother and the first time I confirmed that I was pregnant was still very vivid in my memory. It was in the month of May that i have confirmed that i am carrying my daughter in my womb, i have seen the signs but i was not able to comprehend it very well considering that i am busy taking care of my sick father and was still coping on his death. So, when i decided to check if the hints are accurate, a two lines appeared in front of me and the next thing i know is I am crying in excitement and fear. Excitement of knowing the possibility of becoming a mother after all this years of waiting and fear that I may lose this baby again for the third time. I would say my struggle with my pregnancy is not really ordinary. There are ups and downs, months of bed rests, occasional blood spotting, days of crying and longing for my dead father, days being alone because hubby is away for his bar examination, months of medicines and injections for my baby to remain and the fear of an over due baby. But I would say that Peachy was really a fighter and even until her birth when she made her first vowel on my womb, she survive it all and that's the time I have realized that i have to be more stronger for her because she was very sure that she wanted to see this world. When Peachy was born, i was sad for a while because i was not sure how to be a good mother to her, i never felt the love of my real mother and i have a fair share of pain with my step mother. But i am still blessed with people around me who care and treat me as their own daughter even though we have no relation at all. They were my inspiration and i will always be grateful to them. To my mother whom i just recently met, " I want her to know that although we have not known each other that much, she will always be my mother and that is a fact that I could not deny, i thank you for giving me my life and for the short time that we have spent together. Now, every time i see my daughter, i realized how difficult it was to be without her. The future is still unclear to us but one thing is sure, being a mother is a lifetime journey, full of trials, pains and perseverance but undoubtedly the prize of seeing our children grow, achieve their dreams and seeing their own family too is a joy and that is one thing we will treasured most. Now, this mother's day was very special to me because other moms were here to celebrate it with me. Although, we have only known each other through the internet, deep down in my heart, i wanted them to know how happy they have made me for the joy of their friendship. Thank you so much for sharing your thoughts. Hope you will enjoy reading them all as much as i enjoy. Each answer shows the real feeling of a loving mother and a great inspiration to all. Ozamiz City, mother to Vinz, 3 years old. I am a Stay-at-Home Mom. I enjoy cross stitching , reading books, and now I am addicted to facebook ! I prepare for the needs of my husband and our only child Patrick. Q: Please tell us your feeling when you learned that your expecting? sought the assistance of an OB specializing in infertility. I would say It was really a blessing since I got pregnant the next month after our consultation. Q. Your thoughts about motherhood. Motherhood is a vocation. It is a lifetime dedication, a 24/7 job without pay Being a mother is an experience I would not trade. The JOY and Pride I feel is inexplainable. Q: Your most memorable experience with your child. I am so lucky to be around always for my son. I have seen all his milestones and I am proud to say I am his first teacher. 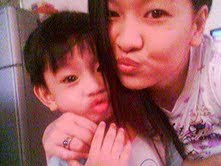 Last week, I enrolled him for nursery this june. The principal gave him an oral exam and he answered them all correctly. The principal was astonished, and said he is qualified as a K-1 pupil ! He is only 3 and a half years old. Q. Your relationship with your own mother. My relationship with my own MOM was lovely. I came from a big family with 7 kids but my MOM had time for all of us. I can't imagine how she did it but she bought us all up into independent and well educated individuals. It is sad because she never lived to meet my family, my son. There are times I miss her voice, her stories, her lessons. But life has to go on. To all children : treasure the moments you have with your parents. Everyday is important, we never know what Tomorrow will bring. To all parents, give your unconditional love, care and guidance to your children while they need it. The time will come when they will be preoccupied in their own " world" . I am Maybeth, 33 years old, a mother of two and a full time mom. My eldest is three (3) years old and the younger one is eight (8) months old. My son JB calls me Mama dear. and My family and friends call me Maybs or May. In my three years of being a mother and a wife, I have grown to appreciate motherhood and pay tribute to all the moms especially to my mother, who have done so much for their families...who have been silent heroes all these time...who have given much without expecting much in return. Let me share to all of you my joys of being a mom. 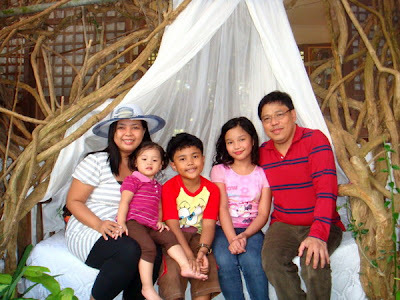 A month after we got married, i was so happy...very happy upon knowing that i was pregnant (of which most mothers do). I was so excited to let my husband know that he would be a father soon. I've read lots of things about motherhood but going through it and experiencing it, is a lot different. I've learned that motherhood isn't just about giving your kids what they want and need. it is in giving ourselves to them that really matters. Our kids badly need our precious time. in their growing up years, they need us to be with them, teach them, guide them and most especially let them know and feel that we love them very much. My experiences as a child always inspire me to be the best mom to my kids. It was a learning experience. I used to work from 8am to 5pm and would usually arrive home past 6pm. I believe that bonding moments with our kids need not be expensive. My most memorable experience with my eldest son JB, is our story telling time before going to bed. I would tell spontaneous stories just about anything (he would usually make the suggestion). Sometimes we would do some scribblings, drawings and it's fun teaching him his ABCs...Special moments like these, was something i've dreamed of as a child. My mother worked far from home. We barely have enough time together. When i was young, my mom barely knew the real me, what i feel, what i need. So when my mom got transferred, we really have to adjust. I just felt we were just mere acquaintances. But after which, when i grew older, i then understood. it was nobody's fault. it was just a test of time. So now, everything's fine with us. OUr realtionship has deepened and has matured. To my kids, you may not be able to understand this for now but soon you will. Am doing everything to be the best mom that you can have. I may not be perfect, but this is more than i could ever give...To my mother, time heals all wounds. You're still the best. I couldn't ask for more. Thanks for sharing your life to us. I am a stay-at-home mom, married with one daughter. I love cooking, blogging, and crafting. It was mixed emotions. I was excited and happy, but worried at the same time. Happy because I will be a mom. Excited because I really wanted a baby girl. Worried because I was not sure I will become a good parent. Motherhood is something that I can never exchange with a corporate career. It was my wisest decision becoming a full-time mother (and wife). I believe that nothing beats the happiness of seeing your child grow in your loving arms, feeding her, giving baths, singing lullabies, etc. I think, every moment is worth remembering. I mean, the entire experience from pregnancy to sending her to school. My mom passed away when I was 7, so I don't remember a lot of things being with her. If there are good memories, those are the times that I was in kindergarten and first grade. She made dresses for me, taught me Math in the afternoon, and bought me snacks after nap time. You are the number one reason why I wake up each morning. I am the happiest because God gave me the most beautiful daughter. I can't wait to send you to school and teach you tough subjects like Nanay did to me. Take care and always listen to Mom, okay? I am Jane, a proud mommy of 3 wonderful children. 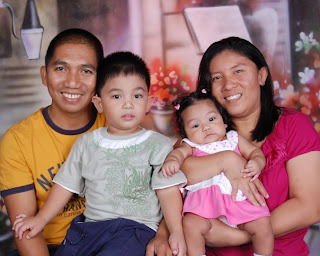 I am an optometrist by profession but gave up my private practice so now im a full-time mom & wife. 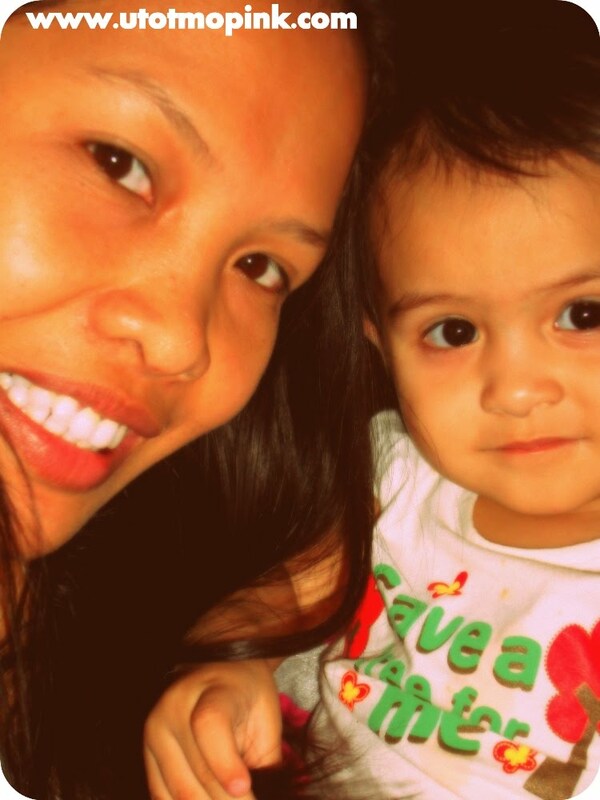 With my first baby i was very excited coz we waited for her for almost 5 years. I had inverted uterus before hence had difficulty in conceiving. With our second child i was still excited even though there was only 1.5 year gap between them. My husband and i decided 2 was enough since we already had a girl and a boy. But then after 8 years i conceived again and i became depressed for a while. I thought, "oh my God, my orderly routine would be ruined". But God is great all the time and my youngest baby has been our family's constant joy. Motherhood is the ultimate expression of self-sacrifice. But there is no suffering because we do everything out of love and it's our happiness to serve our children. During our recent Thailand trip this Holy Week when my youngest daughter Ziane finally entrusted herself on the pool with just her older siblings taking care of her. She used to be afraid of the water and would only swim when it's either me or their dad who was holding her. It was very fulfilling for me to watch the 3 of them enjoying their swim. It made me feel that they would take care of each other when they grow up. My mom is like a barkada to me especially during my adolescence. She was never strict and welcomed all my suitors at home. I love my mom and the way she shows her love for my own children. I wish to give her more to make her feel how special she is to me. To my own mom - We love you Mama Zen, take care of your health always. Happy mother's day. To my Fiona, Lance & Ziane - keep up being respectful, loving and bringing joy to our family always. I am proud of you. I am a working mother to a very beautiful 26-month old child, Daryl Nicole. My husband and I got married January 11, 2004. Six months into our marriage, I was diagnosed to have PCOS (Poly Cystic Ovary Syndrome) and Type 2 Diabetes which made it hard for me to conceive. I tried going into treatment but eventually stopped when I felt that it was not working. I thought that it would come, in God’s time. It was in June 2007 when I learned that I was expecting. It was an unexpected, but very welcome pregnancy for me. I was excited and delighted because I have been waiting for this moment for so long. Somehow it made me feel complete. I didn’t feel any amount of fear or anxiety. I felt very ready to take on the next chapter of my life, being a mother. Being a mother is no easy task. As they say, being a mother (or parent) is the only job which has no operating manual. It’s also the job wherein you work 24/7 but don’t get paid. But no matter how hard it is to be a mother, I will not trade it for any other job or amount of remuneration. Watching my child grow up to be a good and pleasant individual is enough compensation for all the sacrifices that I’ve made. All my hardships are eased away whenever I get a hug or kiss from my daughter. But what I will never forget is that fateful day when my daughter came running to me, embraced me and said “LOVE KO KA”. Those 3 little words sounded like the grandest, sweetest melodic symphony. I am sorry mom for being the daughter that I was. Sorry if I misunderstood you. Sorry if it took me this long to realize everything. If only I could undo what has been done...But, thank you for being how you are to me. You may have a different way of showing it, but now I know that what you showed is still a MOTHER'S love. It is only now that I appreciate everything you taught me. Now I know you only wanted what was BEST for me. You were right all along, and I was wrong. Now let me show my appreciation by teaching my own daughter everything you have taught me. Thank you, mom, for being a mother...Thank you for being MY MOTHER. 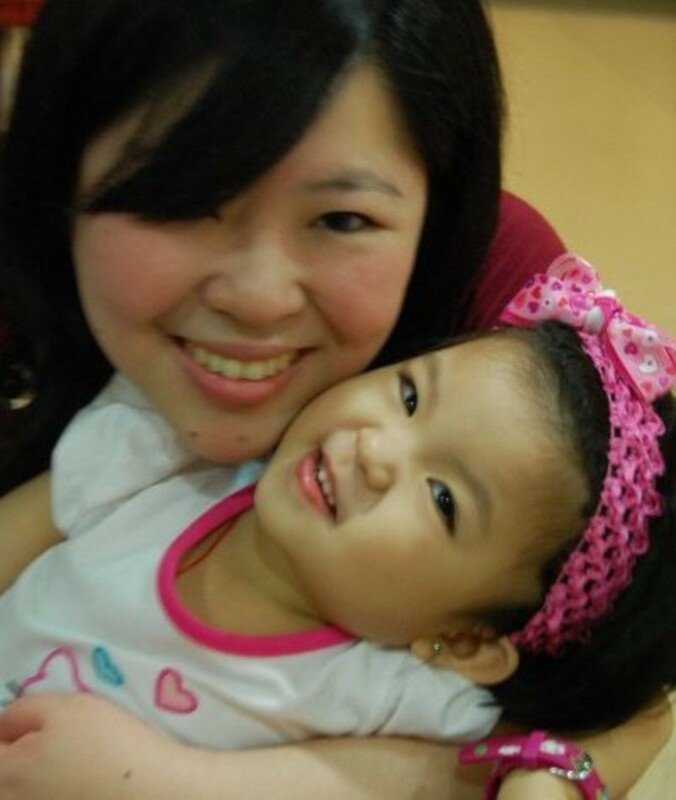 To my daughter Daryl, I will do my best to be a good mother to you, just as your lola had been a good mother to me. Pardon me if sometimes I may seem stubborn or strict. Please be more patient with mommy. For now, you are still too young to understand. But I know someday, when you’re old enough, you would. Always remember, that YOU ARE and always will be mommy’s little angel. I’m a mother of two and currently trying to survive college. Blogging and creating webpages is what I do for a hobby, writing is an integral part of me, it is how I express myself without scaring the pants off my loved ones. I was happy when the doctor confirmed that I’m pregnant with my son, it was the most relaxing moment I remember I’ve ever had in my life. My first thought about motherhood was sacrifice. I’ve seen my mother put up with so much while the three of us sisters were growing up, the fights, the times when we only have little, and the love and care she demonstrated despite the challenges. I made it a point that everyday is a memorable experience with my children, we laugh and cry together, we face challenges and we’ve conquered all the taboos of being an unconventional family, in a way that they only have me present in their every waking hours. It was a love and hate relationship with my mom, but what I admired about her is that she strives so hard just for me to survive and be where I am today. I know that I’ve given her so many disappointments and heartaches, but at the time when I was going through my separation, she told me that they were happy to have me when she bore me and it made all the difference. A short message to your mom or child/children. To my mom; I may not be the perfect daughter, not the most loving, and there were the times when I’d be so stubborn and defy your wishes, but I thank God that you came into my life because without you, I wouldn’t have an inspiration to go on. I know that time is short for you, and that I wish I could at least tell you that I love you and thank you for teaching me how to live. You will always be the best mom for me. To my children; you know that your father and I loves you two so much and we strive to do what’s best for the both of you despite our differences, I pray that you continue to walk in the light of God, that the works of your hand be blessed at all times, that God sends you Christian friends, and that you see people through the eyes of God. Be happy and be blessed always. A loving mother and a blogger. a bit nervous but i was very very happy. For me personally it was realizing that this is my vocation and what God has called me to do. Instead of searching outside myself for meaning and something to fulfill me, I realized that motherhood and raising my children is what God has entrusted to me. It's not always easy, but it's probably the most important job in the world. My mom and i is like best of friends and best of enemies too :) she is my greatest fan in everything that i do... but she criticize me if she felt that ive done something wrong and punish me for that. she raised me so well and given the best of everything. now that she is sick (she has a parkinsons disease- where she really cant move and talk anymore) this is the best time to let her know how much i really love her and value her. I REALLY LOVE MY MOM SO MUCH. I will always be here no matter what, i know that you are suffering so much now and i hope that you will not give up for us...if only i could, ill give my life for you but since i cant all i can do now is fight for you in the way that i can and the way that i know. i love you so much...hope God grant my wish to give you strength to fight. I LOVE YOU SO MUCH. Hope youll be God fearing & obedient, having you as my son is like having the greatest treasure in this world. i love you and i will always here and your daddy to love and support you. it was MAY 19, 2005. The common symptoms and complaints of a pregnant women especially morning sickness what made me think that I'm pregnant. My husband is with me when I got my first checked up to confirm it and showed him the test. It took him a second to realize what he was looking at and then he was overjoyed! “We did it!” he exclaimed. And we hugged and kissed and celebrated the moment. It was amazing. Then the big day come! When I first heard her cry...When they lifted her and place her in my arms.. still wet and a bit bloody after her exit from my womb. Motherhood is a lot of work. But I wouldn't trade it in for the world! I adore my kids.. And as I watch them grow up so quickly everyday, I wonder at God's grace, and beauty. How awesome He is creating something so wonderful. No amount of academic preparation will make the journey to parenting a less bumpy ride, or any less joyful. We go to school for years to prepare ourselves for the work world, but nothing quite prepares you for being a mom or dad. If someone asked me if what's the most memorable experience with my child is the time I breast-feed them when they are still a baby.. It naturally develops mother and child bonding. And I'm thankful to someone who is at my side to learn the motherhood things...my MOM! I am a daughter of a Minister of church. I grew up in a pressure situation where I was expected to look and act in a certain manner, and always had to put on a smile. But my Mom serve as my best friend and taught me not to be pressure and enjoy each day of my life. My parents taught me to love God first and foremost. And now as a wife of a co-worker of God, I thought about the kind of mom I had and the kind of mom I wanted to be. I realized I wanted to be just like my Mom. She was an amazing role model and mentor and so many things in between. Thank you MOM for everything you've done. To my daughter's: Thank you, you complete me! You've been my greatest teacher of love, tolerance, honesty and compassion. I'm so proud that you are mine. Just as I have mentioned in my post, i will be choosing one lucky mommy to win a simple token/gift. Please watch out for it tomorrow night, May 9, 2010, because my little Peachy will still personally pick the winner. Happy Mother's Day to All and may our wishes do come true. Awww.. you have a super cute post sis. I loved reading the stories. Thanks for featuring me and my daughter in your site. Happy Mother's Day again. Muah! mommy ria i love it! thank you so much for featuring me in your website. i'll post a link in my multiply site ha? and thanks too for choosing a fab family of our photo, i love it. meron pala kaming ganung photo haha nakalaimutan ko na. thank you so much for featuring it. Thanks for featuring my story..
You are a wonderful Mom Mommy Ria!